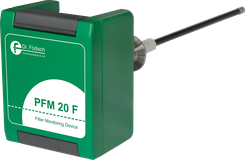 A qualitative dust measurement, for example by triboelectric filter monitoring, includes both the monitoring of the clean gas dust content after dust collectors as well as the evaluation of the status of the exhaust gas cleaning systems. 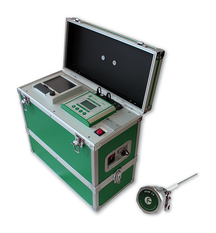 The signal generation is based on the triboelectric measuring principle. In other words the charge exchange between the probe and the streaming as well as the bouncing dust particles is carried out. According to the triboelectric measuring principle the filter monitoring device will be installed as in-situ measuring device in the clean gas pipes after the dust collectors. Devices are suitable for monitoring baghouse-, envelope- and cartridge filters and centrifugal separators (cyclones). 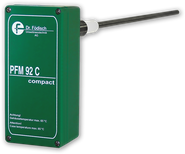 There are more than 10,000 pcs of Dr. Födisch AG filter monitor devices operating worldwide i.a. in the food processing or cement industries, in the metal- and woodworking and chemical industries.